Since the course closed, there has been a great deal of activity. 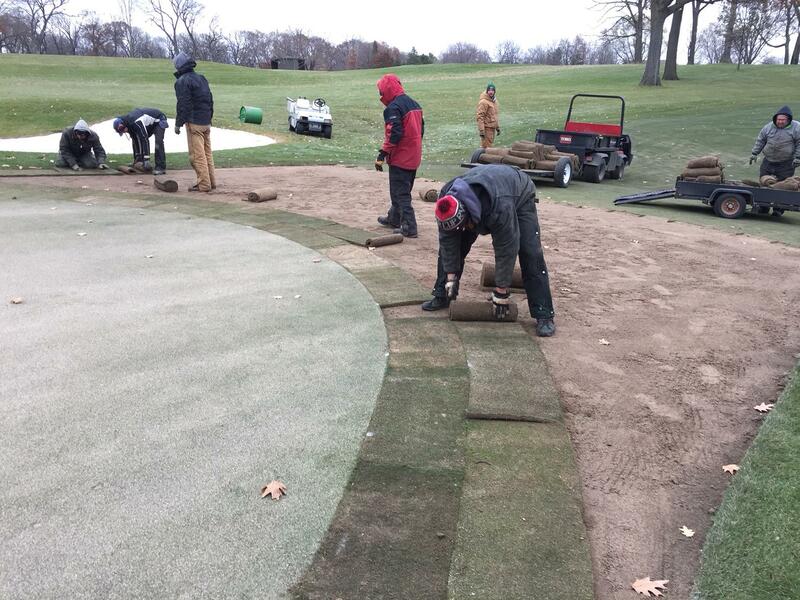 With a hard closure date, our intent was to perform pre-winter aerifying to the putting surfaces. Unfortunately the speedy arrival of freezing weather, and thus frozen greens, did not allow these practices to take place. This fact should cause no negative impact to the course, but as a make up there may be a previously unplanned practice or two performed in the spring. All other necessary winterization practices were completed as normal. Most recently, the turfgrass team has continued with the removal of ash trees. Many, if not most of you are probably aware, through various means that the emerald ash borer (EAB) has been in Minnesota for nearly 10 years. The EAB is a small insect, which lives and reproduces in, and feeds on ash trees. EAB populations tend to soar about 10 years after it is first discovered, which is just about the exact time frame we're at here in the Twin Cities. 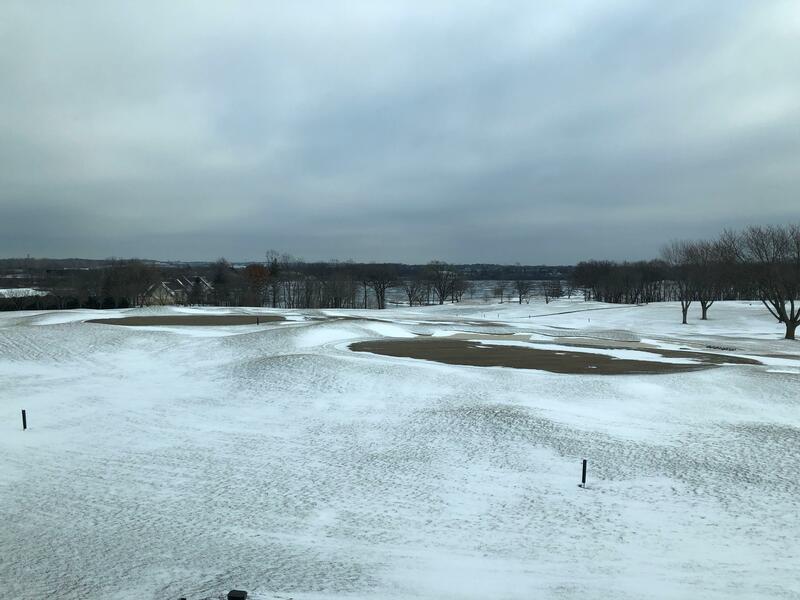 The EAB will eventually devastate Minnesota's ash population, and proactive measures are underway in municiplaities, private residences, and golf course all around the state. Two options exist for dealing with EAB. 1) Chemical treatment, which is costly, never ending and not 100% guaranteed. 2) Proactive removal-untreated ash trees will succumb to the EAB, and will need to be removed. Here at Hazeltine, we've adopted a mixed strategy. Nine ash trees have been identified as "key" to the strategy of the golf course. These trees are being treated. The remaining ash trees, a pre-removal number of approximately 90, are being proactively removed. This removal process begin last winter and continues today. Our population of ash trees here at Hazeltine is relatively small. By comparison, it is not uncommon for courses in this area to have multiple hundreds of ash trees on their property. At this time, there is not a plan to replace the trees being removed. However, as time goes by, the green committee will assess potential replacement needs and if needed consider appropriate species to be planted. After the closing of the course, Hartman Companies was onsite to work on a number of projects. 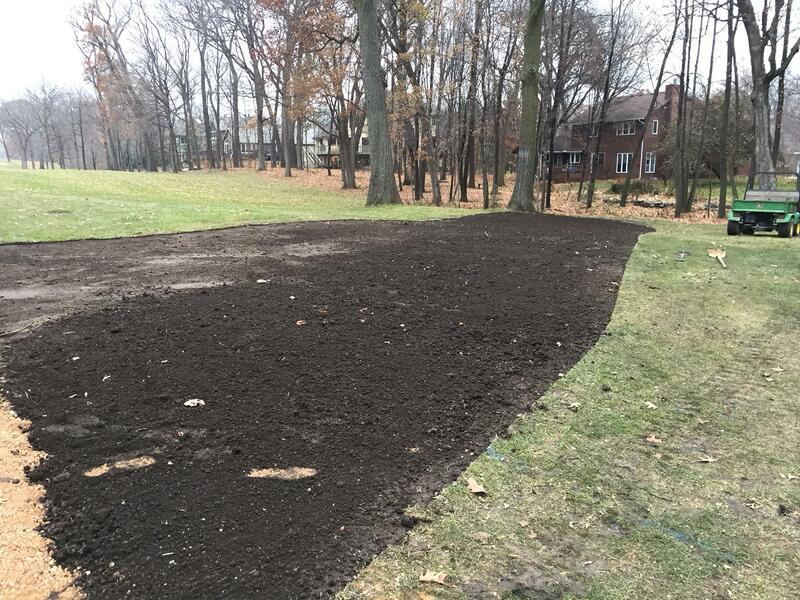 The largest of the projects was installation of drainage in front of 5 tee. The water needs to go somewhere, and it was determined the best place was the pond on 13. In order to make this happen, the outlet of this pond needed to be improved. Here you see where the new outlet pipe crosses in front of 14 tee. 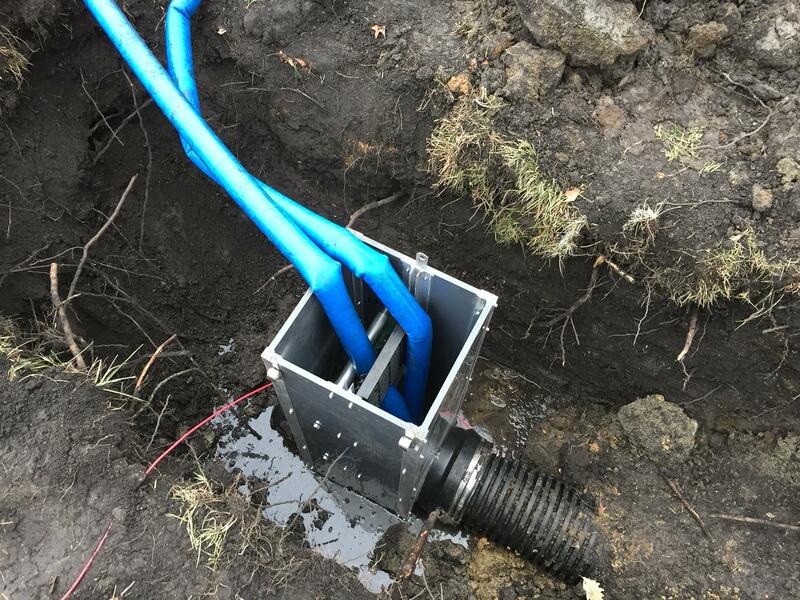 The photo below is a unit placed in the ground, which allows for the outlet pipe to be placed low in the pond, yet still maintain the desired water level. Below you get a look at the scope of work being completed between the fifth tee and the fairway. The drainage installed consists of both above ground inlets to collect surface water during rain events, and perforated pipe to soak up any water below the surface. When the pipe was installed, the outlet ran at the pace of a half opened garden hose for a number of days-a significant amount of water. Finishing work and sodding remains to be completed in the spring, but even now this area is drier than at any point in my five years. 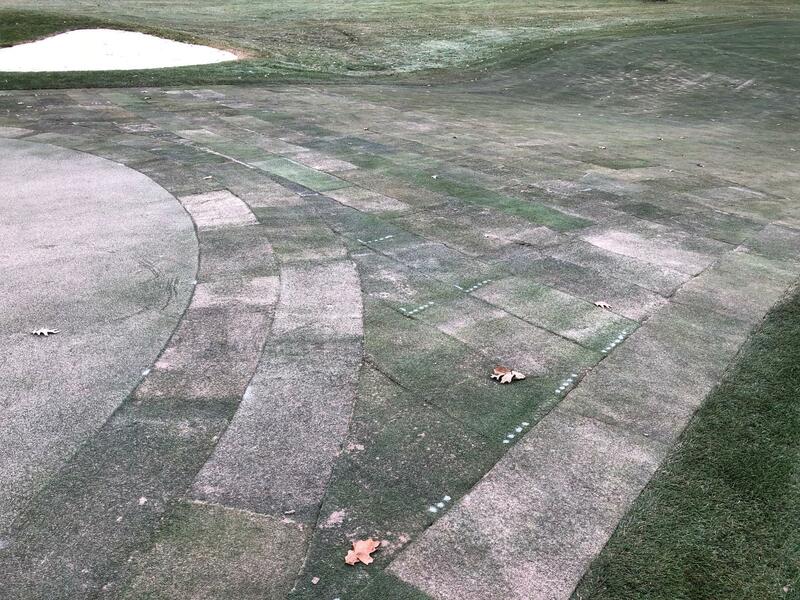 The front of the sixth green had a slight grade variation that would allow water, especially during the spring melt, to back up onto the putting surface. 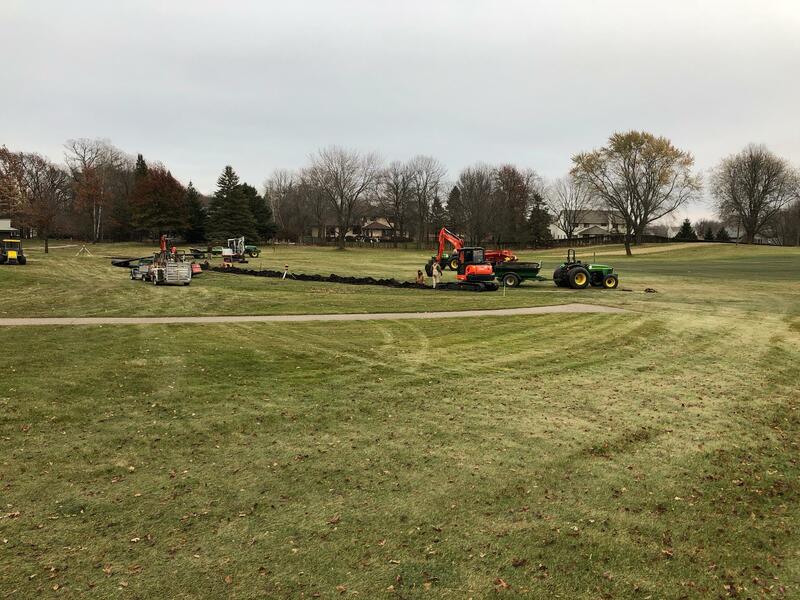 The sod was lifted, the grade adjusted to match the grade coming off the putting surface, the sod was then expertly replaced by the Hazeltine turfgrass team. 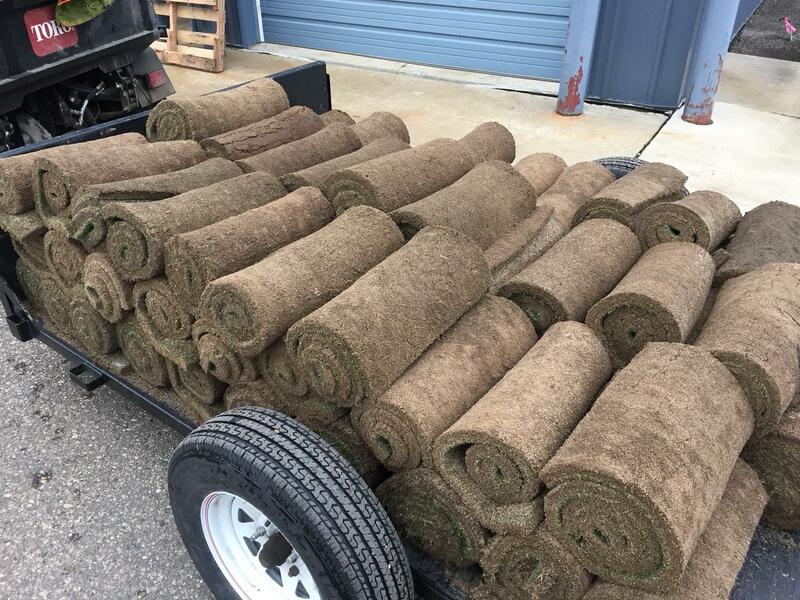 If you look carefully, you can see the dots painted in order to make sure the sod was returned to the exact same location. 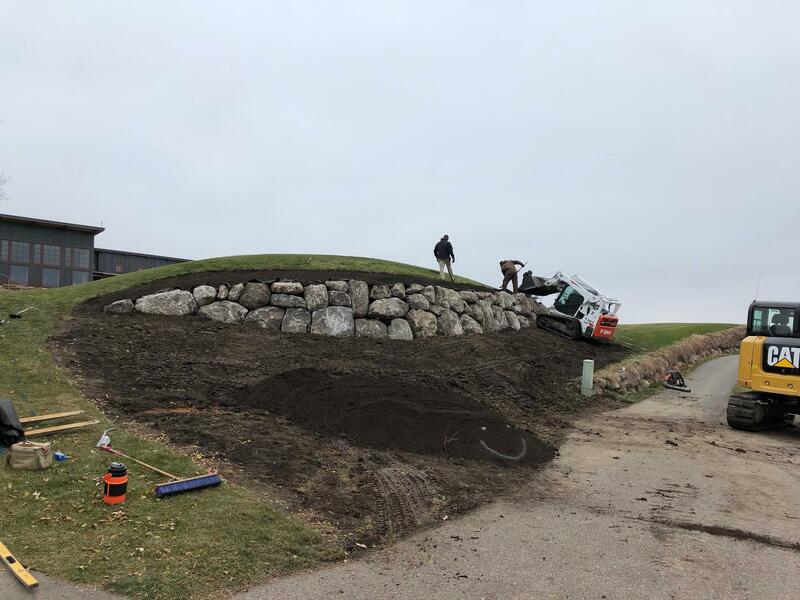 Finally, the boulder retaining wall holding up the championship tee on number one has been deteriorating for a couple of years. Hartman's landscape crew tore the existing wall down and rebuilt it with improved construction and drainage. There's no reason to imagine this wall won't last for many, many years. 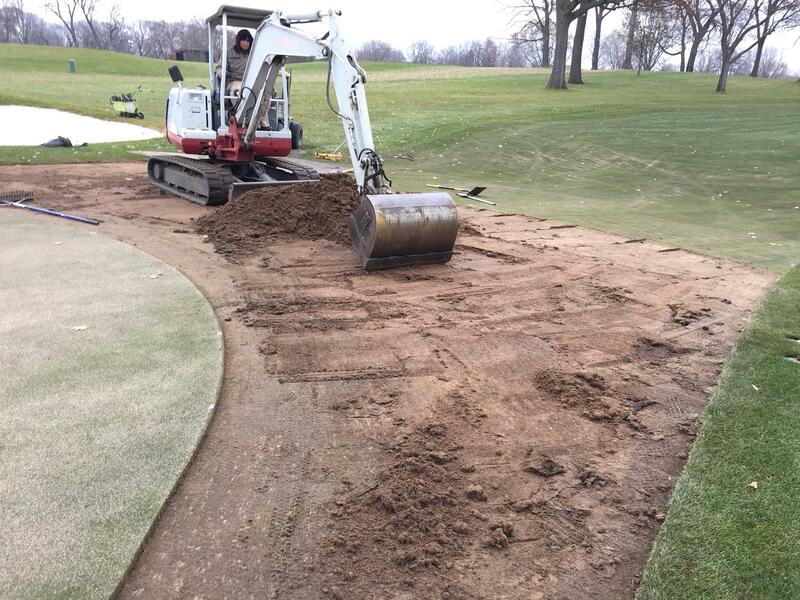 One project not yet having been completed is repairs to the bank on 13. 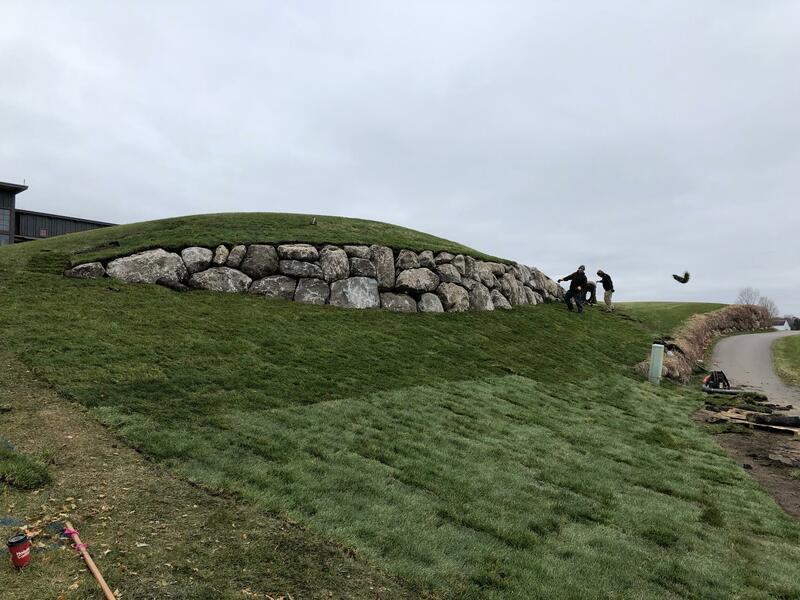 In assessing the project, it was deemed necessary to drain the pond, in order to gain firm enough ground at the bottom of the slope. Firming this ground up will allow equipment to be used from the bottom side of the slope. This work will take place in the spring, but there is not an exact time table. When work does commence, it'll be minimally invasive. In the meantime, there is no danger to the integrity of the 13th green.